The population of the world is aging. People are living longer and staying healthier for more years. 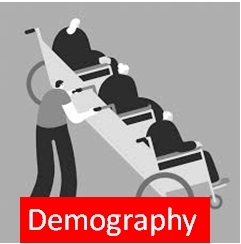 In developed countries, 23% of the population is above 60 and that number is expected to increase to 32% by 2050. The healthcare needs of this population are different than that of the rest of the population, and creative solutions are necessary to serve it. In order to serve an aging global population, medical device companies are developing diagnostic and other devices focused on disease prevention. These devices will have low profit margins, because most medical care for the elderly is paid for by governments and not by individuals. In order to succeed in this market, companies must streamline their processes to lower costs and increase efficiency. In fact, in the future, a larger portion of medical device spending will come from the government at a lower cost margin. Companies will be able to protect their margins by justifying the health outcomes of their devices and by continuing to invest in research and product development. Since physicians will have less say in purchasing decisions, the discussion will focus on price unless a clear health outcome can be proven. A new trend in medical devices for the elderly is the use of telemonitoring. Telemonitoring can be used for managing chronic diseases and disorders, tracking sleep patterns, medication use and vital signs. These devices reduce the cost and hassle of clinic appointments as well as visits to the emergency room. Telemonitoring is especially cost-effective for vulnerable populations such as the elderly. Companies which focus on designing efficient and profitable products for the aging population will retain their competitive age in the future.